"InVincible™ is the world’s first hyper-high-end sub-bass speaker. 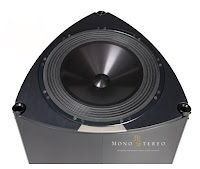 It was created to solve a specific problem: owners of the world’s finest flagship speakers often felt that adding a subwoofer to their system caused more drawbacks than improvements. YG Acoustics™ addressed the issue by creating a truly extreme solution, a no-holds-barred assault on everything deemed possible in the sub-bass realm. InVincible – pure authority, handmade in U.S.A."
Innovations include, first and foremost, the largest BilletCore™ driver ever made at 53 cm diameter (21”). The cone is machined from a massive 30 kg (66 lb) slab of aircraft-grade aluminum. When finished it weighs 411 grams (14.5 oz). The basket is also CNC-machined in-house, then precisely assembled from 238 parts using lab-grade alignment and tolerances. The dedicated built-in amplifier boasts up to 6,000 watts of RMS power for unrestricted dynamics. In a world filled with offshore-outsourced electronics, this amplifier stands out by incorporating a real high-end, custom, U.S.-made class D module. The unique layout sports dual, opposing-yet-tilted drivers. 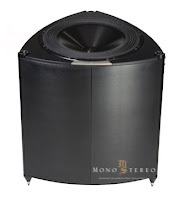 It combines the freedom from vibration of a push-push setup, with the ease of room-integration typically associated with front-firing subwoofers. 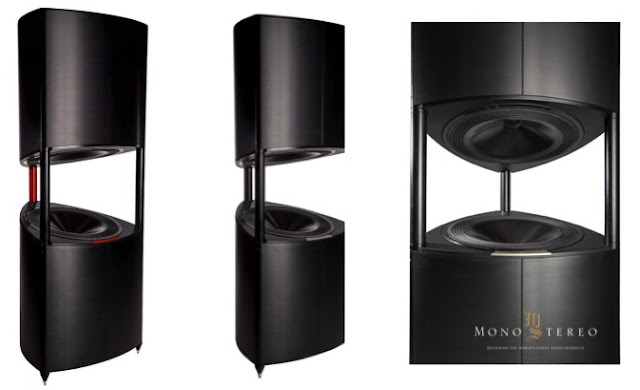 The “flipped” arrangement, with enclosures on both ends rather than in-between the woofers, minimizes their spacing thus further easing room-placement. The cabinet is precisely CNC-machined from solid aluminum billet. Like YG Acoustics™’ flagship Sonja™ XV and Sonja™ 2 series, its construction is a “box within a box”, to minimize vibration. A sealed alignment eliminates port-issues and the time-delays associated therewith. FocusedElimination™ is used to minimize loss. The built-in DSP crossover offers extensive options for matching with most high-end speakers. Furthermore, when mating InVincible™ with a YG Acoustics™ speaker, the guesswork is entirely eliminated. InVincible™ is pre-programmed for precise matching with any current YG Acoustics™ speaker and many legacy models, using a foolproof process inspired by the famous DualCoherent™ technology.